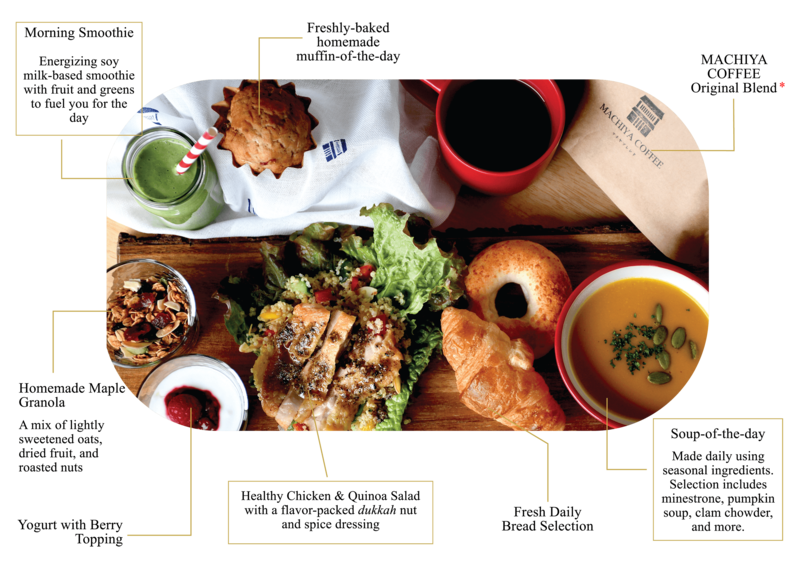 Our Machiya Residence Inn chefs have curated the perfect breakfast box for you to begin your day in Kyoto. Start off your day energized, and feeling great as you ready to explore the city! 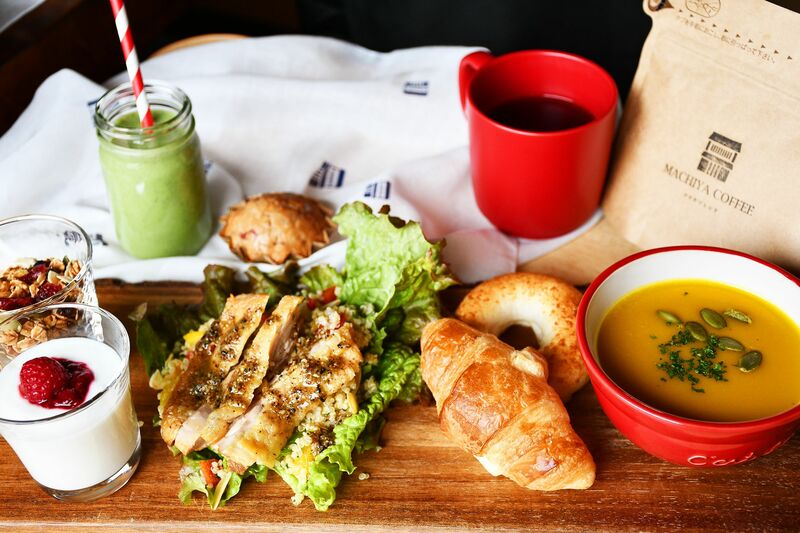 Freshly-made every morning at our MACHIYA KITCHEN, each ‘HEALTHY-FRESH’ MACHIYA BENTO is filled with a chicken and quinoa salad with flavorful dukkah spice dressing, homemade maple granola, muffin, soup-of-the-day, morning smoothie, and more. Each dish has been carefully made to provide you with nutrient-rich superfood ingredients, and the freshest seasonal taste of Kyoto. please contact our staff before you make a reservation. Machiya Breakfast Bento may contain the following: peanut; tree nuts; soy; wheat; egg; milk; seafood (shellfish, fish, and crustaceans); sesame; etc. ※「Machiya Breakfast Bento」 reservations must be made at least 1 day before preferred delivery date (by 15:00). *Any cancellation made one (1) day prior to your reserved delivery date will result in a 100% cancellation fee. ・Quinoa : A naturally gluten-free (super) seed with protein, iron, magnesium, and more. ・Dukkah Dressing: Flavor-packed nut & spice blend that provides additional protein, essential fats, minerals, and more. ・Oats: High in protein and antioxidants, great for providing you with energy. ・Spinach & other Greens: Provides additional vitamins and minerals to your morning smoothie! Available Exclusively for our Machiya Residence Inn Kyoto Guests. *Reservations must be made at least 1 day before preferred delivery date (by 15:00).